The Dynasty «Miss um... Erica?!?! Miss um… Erica?!?! 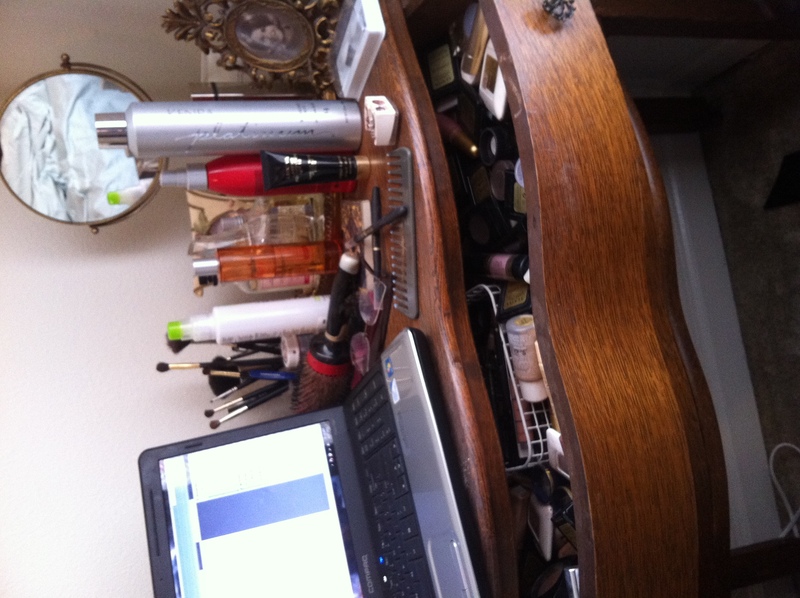 Scattered around me is evidence of my other half of the family tree: THE COSMETICS. The wrinkle creams to correct, cover-ups to conceal, shadows & glosses in every color to suit any palette. I’ve got them. And I wear what suits my mood. My mother’s mother – my Bebe – opened a cosmetic store nearly 50 years ago. She opened it, my mother now owns it, and I currently run it. I guess that makes us kind of a dynasty now. Flashing images of Joan Collins and Linda Evans are running through your mind now aren’t they? Yep. We’re kinda like that. The drama comes with it too, but if you have a sense of humor about it, I think we are kind of entertaining as well. Ask the men; they’ve had ring sides seats. I’m controlling this family business empire now so I guess that makes me an Empress. It’s official. Miss um… Erica?!?! needs a crown. And with each new verse in this song will come a new Jewel. I’m on my way and I’m singing as I go! Sometimes you just bring tears to my eyes…whether they are tears of joy, sadness, or commiserating. You are a beautiful woman. I can’t wait to see where this “window” takes you!!! I remember getting little bags of Merle Norman lipstick bubbles at one of your slumber parties. About 8 little girls instinctively + without discussion, turned our backs + hurriedly took inventory of our spoils. Drawn back into a circle, we sat Indian-style + traded our tiny treasured bubbles of color with all of the strategy of seasoned high stakes poker players. Some of the magic bubbles were punctured + applied to our young faces with all the technique + restraint of aging drag queens, but more than a few makeup samples were squirreled away + carried home with reverential care. AAHHH!! The Bubbles!! They are still around Darling, and what an impression they make I see! “Aging Drag Queens” 😉 LOVE YOU!! !